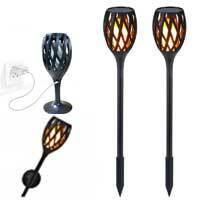 My Favorite Solar Tiki Torches... and Why? 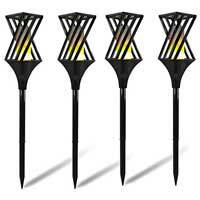 My Favorite Solar Tiki Torches… and Why? 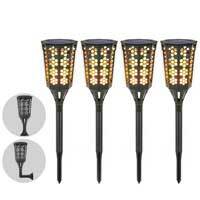 Hands down, these solar tiki torches are my favorite landscape lights of all time. The seriously realistic flickering flame adds more light, color, movement and ambiance to my backyard than I ever expected. Like many people, I like how tiki torches look at summer pool parties. You feel like you are on vacation and should have a tropical drink in your hand. However, I worry about the fire hazard of the open flames, especially on a windy day. Plus, you always have to buy more fuel and make sure you put the torches out when the party ends. The LED flames are truly realistic. I was actually surprised. 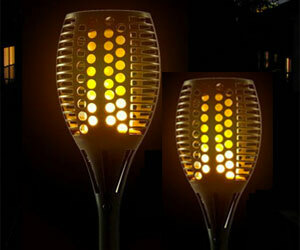 Somehow, the 96 LED bulbs work in a lifelike pattern to mimic the appearance of fire. I have no idea how it works. 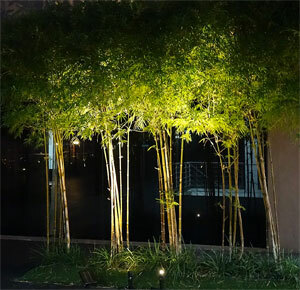 In addition, these lamps emit a yellow-ish, warm white light, so they give off a feeling of warmth and heat. That said, they stay cool to the touch so you can feel comfortable with kids and pets running around the yard. 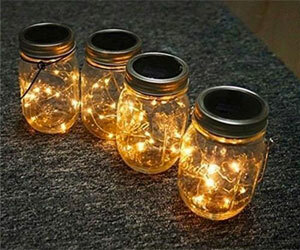 Besides using these solar torches as a festive decoration at parties, you can use them year-round for a variety of other functions. Consider them multi-functional. 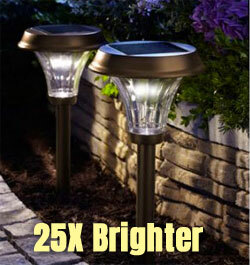 For example, they make great path lights because they radiate a significant amount of light. 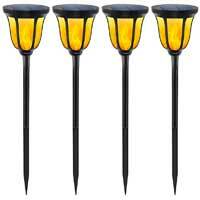 I even use them to illuminate different areas of my landscaping, since they reflect light off of shrubs, plants and rocks. 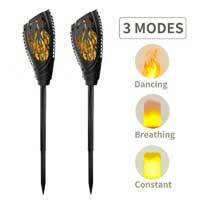 They also make spooky halloween decorations to put along your driveway or next to your front door. 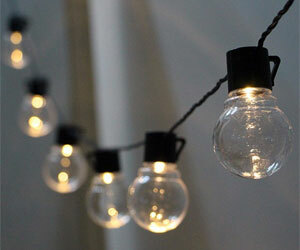 Due to the fact that these lights don’t require wiring, you can move them around with ease. 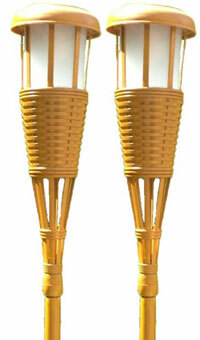 You can even shorten the stake and place the torch in a planter to use as a table centerpiece for outdoor dining. 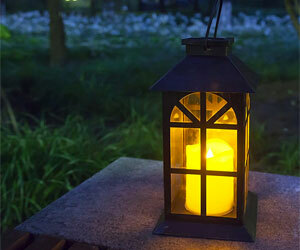 The flickering flame adds enough light for entertaining while still letting guests enjoy the nighttime outdoors. 4. 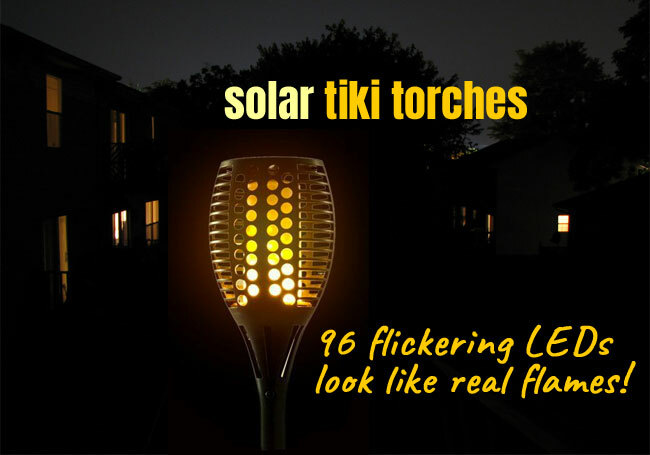 Solar Tiki Torches for Beach Barbecues? 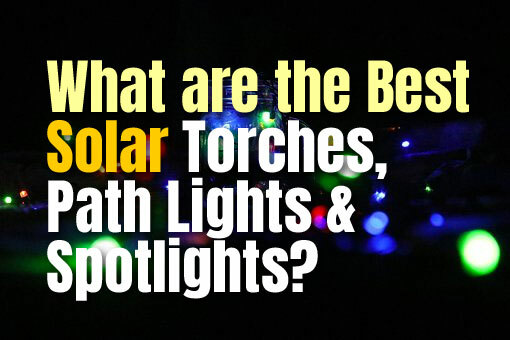 Since these solar torches are portable, why not take them to the beach or the park? 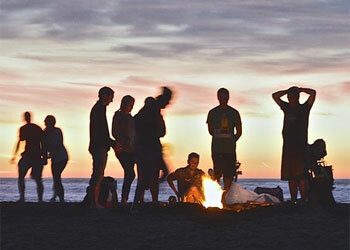 They make a great excuse for planning a beach barbecue or picnic “date night” at the park. 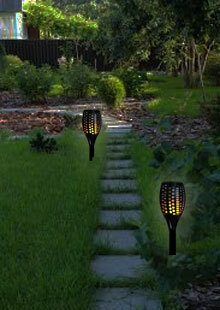 Note: The one problem I have with these tiki torches is that now I cannot go back to regular pathway lights. The “moving” lights are just too cool. 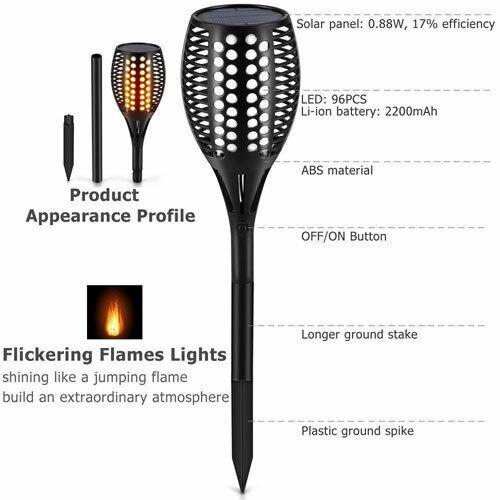 Due to their popularity, you can now choose from a variety of similar solar LED torch lights with flickering amber flames. They all have the solar charging feature, plus some come with a USB rechargeable unit. They all cost around $20 apiece, and you can usually get a price discount when you buy larger quantities.